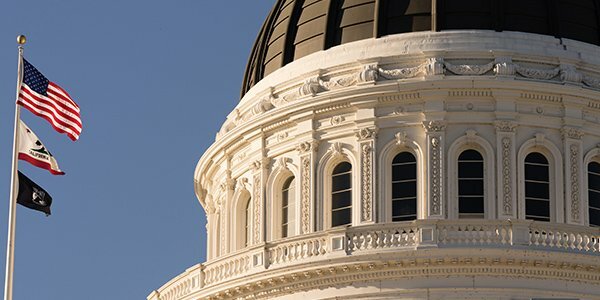 After it breezed through the California Legislature, Senate Bill 269 was signed by Gov. Jerry Brown, conferring major protections to small California businesses that find themselves on the receiving end of an ADA violations suit. The bill, effective immediately, will give small businesses under 50 employees additional time to comply with the law before incurring fines and fees. It will additionally give 15 days to address violations alleged in a suit. Senator Richard Roth, the author of the bill, described the passage as a "major victory for all Californians." The passage of the California bill goes straight to the heart and purpose of the ADA provisions. Supposedly, the broad intent of Congress in authoring the ADA was to increase accessibility to various aspects of civilian and professional life to persons with disabilities. It was not intended to be used as a means to extort settlement monies from businesses who happened to be in violation of one of its provisions -- especially if the violations were in good faith or were not willful. And that has been part of the problem. Lawmakers have long known that the good intentions of the law has opened up opportunities for ADA trolls to literally patrol the neighborhoods of small businesses for potential violations, slapping said business owners with outrageous shakedown demand letters and threats of debilitating lawsuits. California has unfortunately earned the odious crown of ADA lawsuit central. It's estimated that since the law's passage in 1990, 40 percent of the country's ADA cases are filed in California. No Longer a Judicial Hellhole? National Federation Director Tom Scott has said that SB 269 won't solve all problems related to running a small business in California, but at least it moves the needle in the right direction. "[H]opefully," he said, "it helps move [California] away from being annually ranked the number one judicial hellhole in the nation by the American Tort Reform Association." Meanwhile, Johnson is being sniffed out by the Feds looking to see if he paid taxes on monies he extracted out of small businesses.